Now that fall is upon us and squash is really coming into its own, here’s a dish to turn to for both casual meals and bigger dinner affairs. 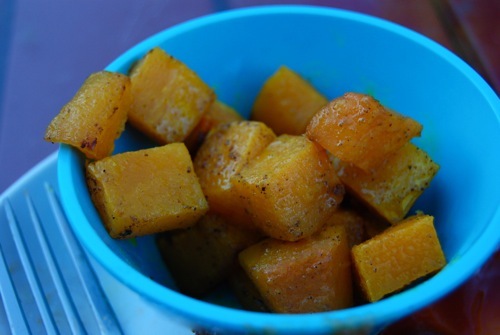 The roasting process brings out the sweetness of the squash, and the curry adds a savory dimension that’s truly out of this world. You’ll hardly believe 3 ingredients + 1 oven can make something so good. 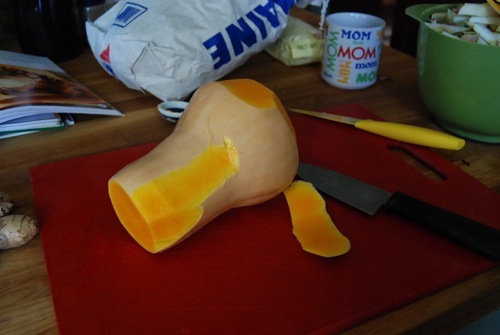 Many thanks to Diane for the butternut squash! Recipe courtesy of Taste of Home Dinner on a Dime. Preheat the oven to 450 degrees. Get out a 9 x 13-inch oven safe casserole pan and set aside. Place squash on a cutting board. Trim off the top and bottom, then carefully peel. Slice in half and remove seeds using a spoon. Cut into 1-inch cubes and set aside. Place butter in the baking dish and put the pan into the oven. Watch and remove as soon as the butter has melted. 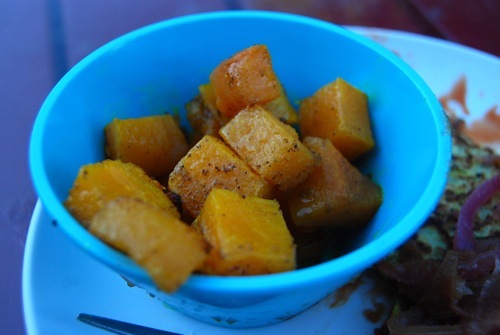 Sprinkle the curry powder over the melted butter, then add the cubed squash and toss until evenly coated. 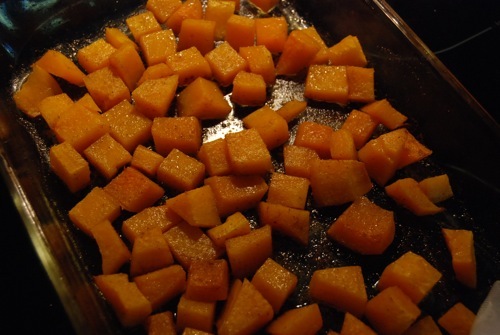 Place baking pan on middle rack in oven and roast for 20-25 minutes, until squash is tender and very lightly browned.